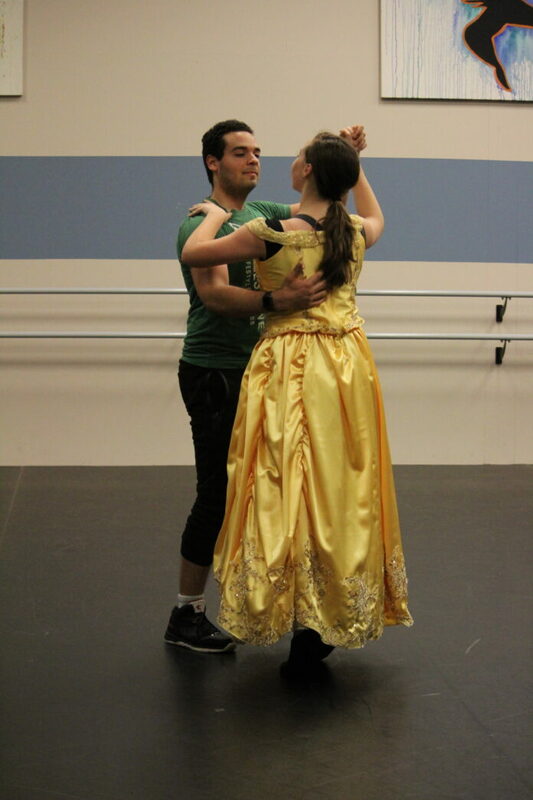 Shurrell Wiebe, an instructor and director for the Pre-Professional Modern Program at TJC’s Academy of Dance, invites everyone to come out and watch the dancers perform Beauty and The Beast. In order to spread this message beyond just those who come to watch the show, Belle and Wiebe have visited multiple elementary schools these past few weeks. Belle reads to the children and teaches parts of her dance to them. One of the dancers in Beauty and The Beast, Lydia Middleton, stated that her favorite part of dancing with TJC is “the instruction and the people.” She went on to further explain that she has a lot of friends in the show, and that they are all very encouraging and sweet. This beautiful rendition of the classic tale will be performed April 12 at 7 p.m., April 13 at 2 p.m.and 7 p.m., and April 14 at 2 p.m. in Wise Auditorium. The ticket prices range from $8-$25 depending on which seats you choose. Senior citizens and children can buy tickets for $10, and there is also a $50 ticket available for those who want to have a tour backstage, meet the characters, and see how things run backstage. You can buy tickets at the performance, or you can order them online ahead of time at eventbrite.com. There are also special tickets just for kids that parents can purchase online or at the Wise Auditorium an hour before the show. These tickets allow the kids to dance with Belle and some of the characters and have a dance party on stage. TJC’s Academy of Dance performs a different show every spring, so don’t miss out on your chance to come watch this beautiful performance of Beauty and The Beast.